WASHINGTON, DC, June 30, 2011 (ENS) – Daniel Ashe has been confirmed by the Senate as the 16th director of the U.S. Fish and Wildlife Service. Ashe, a career employee of the agency who has served as deputy director for policy since 2009, will assume his duties immediately. On December 3, President Barack Obama formally nominated Ashe to lead the agency. But for months, Senate Republicans have held up a vote on the nomination to force the Obama administration to yield to Republican positions on deepwater well drilling permits in the Gulf of Mexico, wild lands conservation and Wyoming wolves. The holds have not been the result of concerns about Ashe himself, a Maryland resident who has had a distinguished career with the Service. Ashe has most recently served as the U.S. Fish and Wildlife Service’s Deputy Director for Policy. 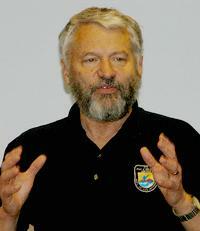 Previously, from 2003, Ashe served as the science advisor to the director of the Fish and Wildlife Service, leading the agency’s efforts to respond to changes in the global climate system; shaping a science-driven landscape conservation business model and defining an agency Code of Scientific and Professional Conduct. From 1998 to 2003, Ashe served as the chief of the National Wildlife Refuge System, and previous to that as the Service’s assistant director for external affairs, where he directed the agency’s programs in legislative, public, and Native American affairs, research coordination, and state grants-in-aid. The Fish and Wildlife Service has not had a permanent director since President Obama took office in January 2009 and has been operating under the leadership of Acting Director Rowan Gould. Gould now returns to his former position as the Fish and Wildlife Service’s deputy director for operations. 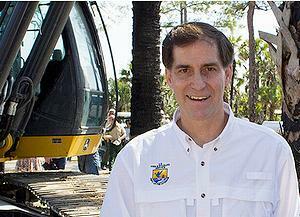 “We are hopeful that Dan Ashe can turn the Fish and Wildlife Service around,” said Kieran Suckling, executive director of the nonprofit Center for Biological Diversity in February just before Ashe’s Senate confirmation hearing. Ashe has his work cut out for him to maintain and defend the Service’s traditional way of protecting endangered and threatened species. Sucessful in legislating against endangered species act protections for Northern Rocky Mountain wolves earlier this year, the first such legislation in history, Senate Republicans are trying the same tactic again. Two Republican Senators, John Cornyn of Texas and James Inhofe of Oklahoma, introduced separate bills earlier this month that would amend the Endangered Species Act to specifically prohibit the U.S. Fish and Wildlife Service from listing two imperiled southwestern species. Cornyn has targeted the dunes sagebrush lizard, while Inhofe seeks to block listing for the lesser prairie-chicken.